Scroll straight to your promotional message! 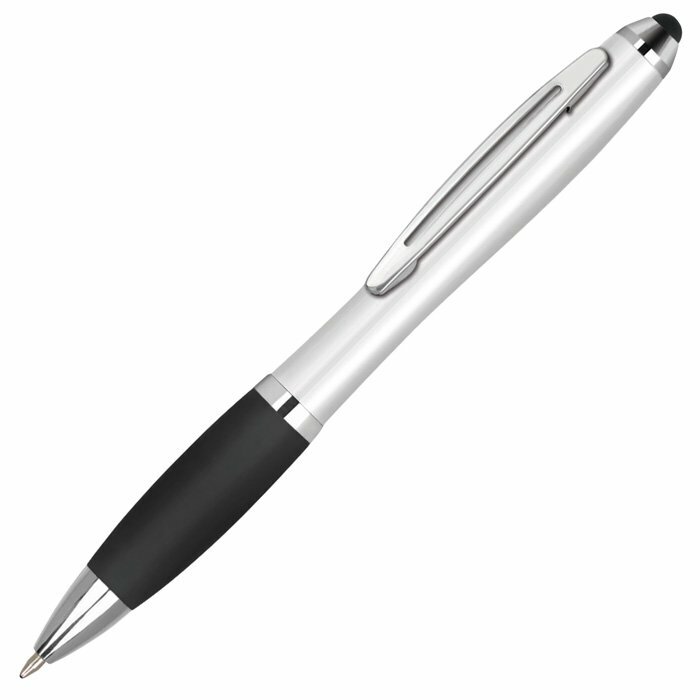 Metal version of the popular Curvy stylus pen. 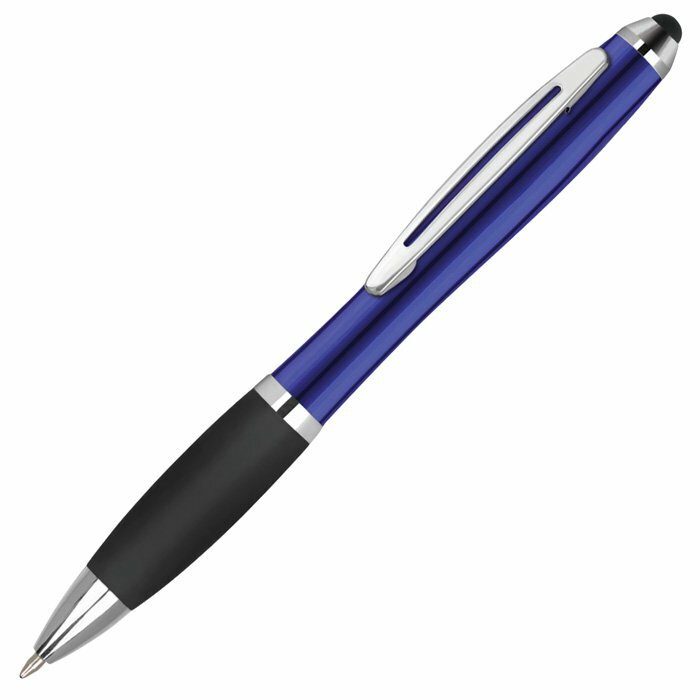 With a light aluminium barrel and soft rubberised grip, this 2 in 1 combo pen features a touchscreen stylus incorporated to the top of the pen. 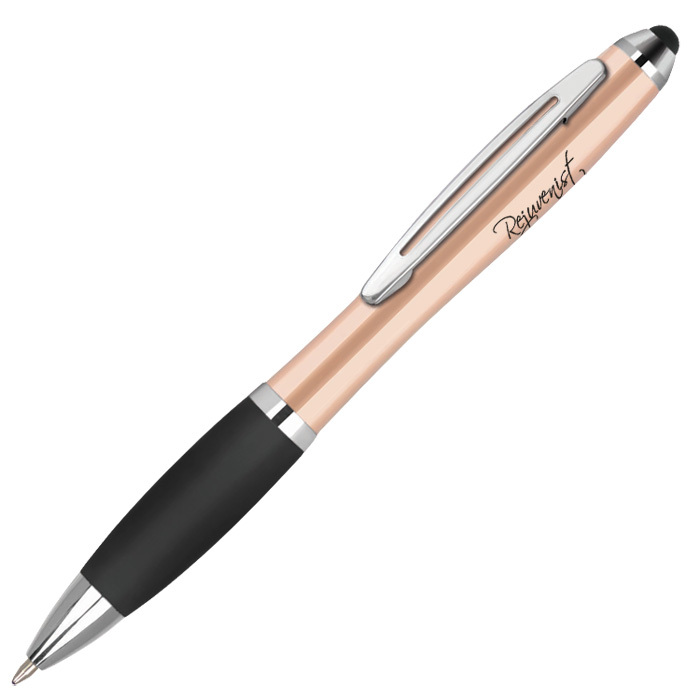 Great for in the office or at home, recipients are sure to appreciate this handy gift..
Price includes 1 colour print to the barrel of the pen. Print area: 60 x 7mm.